The Kanger Tech EVOD Starter Kit is a great starter kit and is highly recommended. This is one of our favorite starter kits as it functions perfectly as we think a starter kit should. It comes with everything you need to start vaping out of the box, with the exception of the ejuice (depending on where you purchase the kit). Who is the Kanger Tech EVOD Starter Kit For? The Kanger Tech EVOD Starter Kit is going to be geared for the beginner, although anybody would enjoy using this starter kit. Although it doesn’t have all the advanced features of vape mods and other more advanced vaporizers, it still offers great value and a great vaping experience at a great price point of around $40. It’s often recommended for beginners because it’s very easy to use, easy to fill, quick to charge and fairly simple to replace the atomizer heads. It’s an all in one package that is ready to vape without much hassle. The contents of this vape starter kit are fairly typical of any other starter kit. 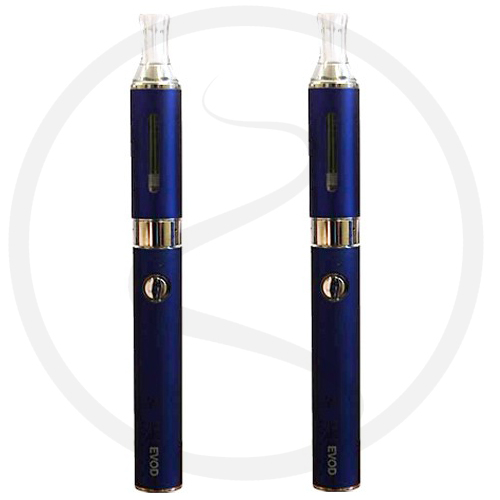 You will typically receive a battery charger, a couple batteries and a couple tanks with the EVOD starter kit. 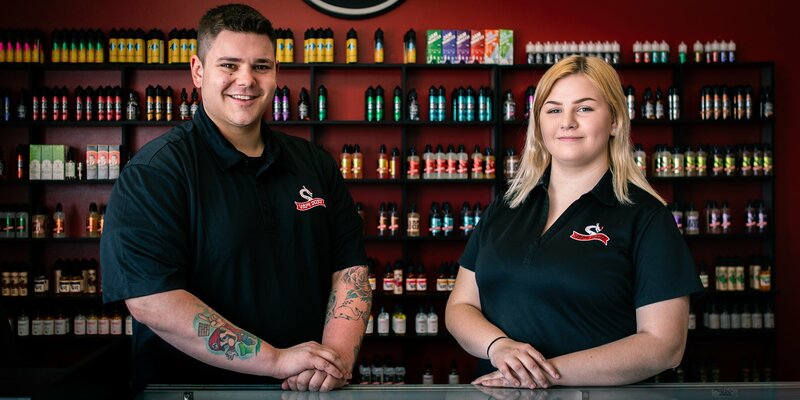 You may or may not receive ejuice or a case with your starter kit, depending on where you get it and how much you spend. 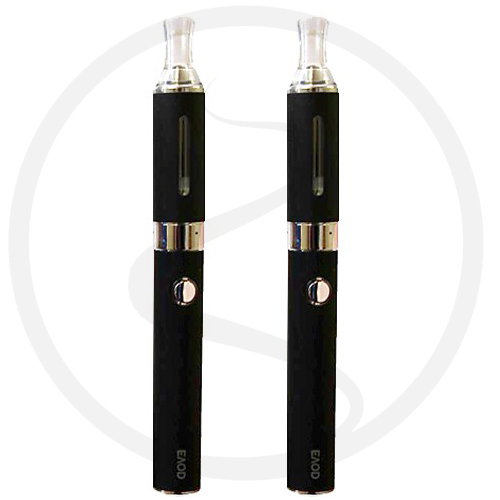 Slim Vape Pen however, offers a wide variety of options when it comes to a vape starter kit with E Juice. 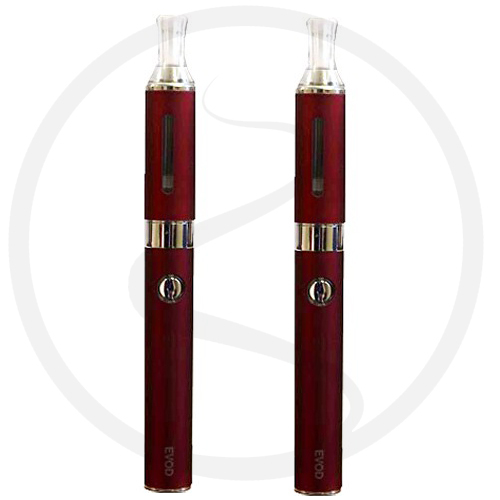 What separates this kit from some other kits on the market is it comes with a 3.7-volt battery (instead of a 3.2-volt battery) and it includes the great EVOD Clearomizer tanks. We have a full Kanger Tech EVOD Starter Kit Tutorial page where you can learn every thing you need to know about the EVOD Starter Kit. As most experienced vapers know, the atomizer head (the coil that heats up the ejuice to turn it into vapor) needs to be replaced every once in a while or else a burnt taste will arise. It’s nice to have the replacement heads come with your kit because it will last you much longer than if you didn’t have any. It’s nice not having to deal with the hassle of ordering more replacement heads online and waiting for them to arrive, instead they are right there for you in the kit. This starter kit comes with an ego battery, but it’s not the standard ego battery you might be used to. It’s actually a 3.7-volt battery instead of the standard 3.2-volts of a typical ego battery. This difference in voltage can give the user a much more fulfilling and enhanced vaping experience, depending on their preferences. The battery charger that comes with this kit can either be plugged into a computer USB port or it can be attached to the included AC adapter and then plugged into the wall outlet. When you initially plug the vape pen battery in, you’ll see the light is red, which means it is not charged all the way. It will turn green once it has finished its full charge cycle. One of the main reasons why this starter kit so good and highly recommended is because of the clearomizer tanks that comes with the kit. The clearomizer tanks in this kit are the kanger EVOD BBC clearomizer tanks, which, in our opinion, are great tanks for the money. Kanger EVOD clearomizer tanks give a great vape experience, they last a long time and they don’t continually give you a burnt taste like some long wick tanks oftentimes do. 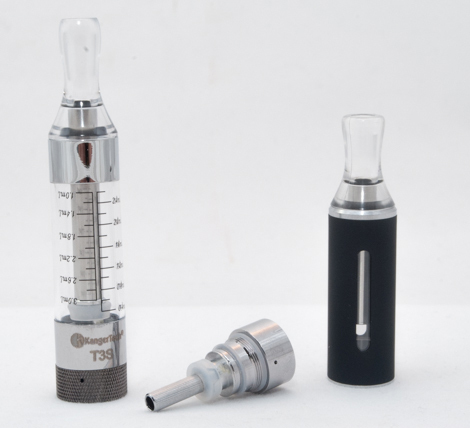 The quality of any starter kit is typically going to depend on the quality of clearomizer tank because that is the component that creates the vapor from the ejuice. 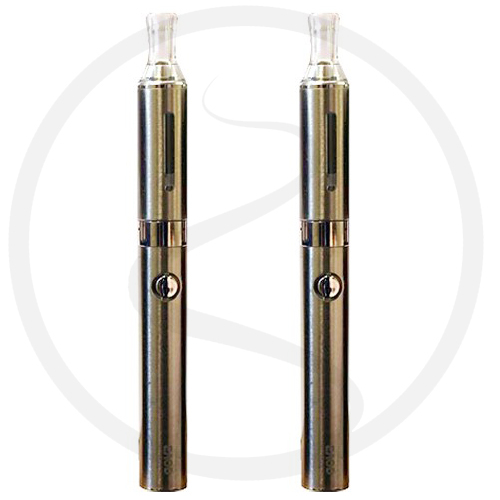 The batteries that come with the tank are usually very standardized and will typically vary on only the functionality such as variable voltage / wattage, or on the amount of time that the battery will last. This is mostly the case, but a slight benefit of this battery is that it offers 3.7 volts, which gives a better vape. Other than that the batteries, which typically give you solid functionality, the tanks are going to vary more in quality and functionality. Atomizers are essentially the heating coils that turn the ejuice to vapor. The atomizer heads can lasts from a week to a month (or even longer) depending on how often you vape. Some people may get irritated that you have to replace the atomizer heads, but this is just the nature of atomizers. They naturally get worn out the more you vape. Luckily atomizers are very cheap and this is the reason why so many people prefer clearomizers to cartomizers, because with clearomizers you can replace the atomizer (instead of discarding the whole tank). The Kanger EVOD Atomizer is a bottom feed atomizer. 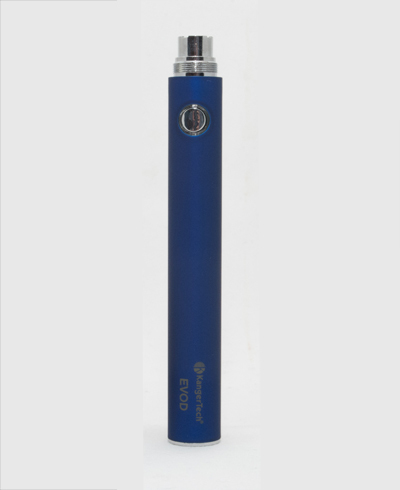 This is an atomizer that has the heating coil at the bottom of the tank rather than the top. The benefit of these tanks is that the e juice sits right on top of the coil at all times, which prevents a burnt taste. The burnt taste is very common on top feed atomizers because the wicks can get dry when not submerged in ejuice. When they are dry, the wick comes into contact with the heating element (without ejuice) and it ends up heating the wick instead of the ejuice, which can actually burn the wicks and shorten the life of the atomizer head, along with giving the dreaded burnt taste. Besides being a bottom feeder atomizer, the Kanger EVOD tanks are also short wick tanks, which offer many benefits over long wick thanks. We recommend this starter kit for somebody that is new to vaporizers in general. This is also good for someone who doesn’t want to spend a ton of money, for those who want a starter kit that will last, and for those that want a kit that’s going to give a great vaping experience, with plenty of vapor. These are really good start kits, especially for the price as well as the Pros and Cons. These are great for anyone, no matter the experience level with vaping because they’re simply a great, all-around starter kit for the money.